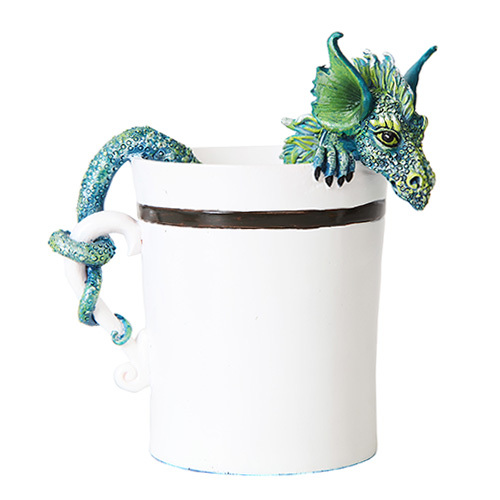 This little dragon has found an unorthodox place to rest-- a coffee mug! The miniature beasty peeks out over the side of the mug, and his tail wraps around the handle. 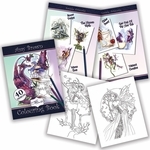 The dragon is done in shades of blue with yellow accents. A unique gift for any fantasy fan with a love of caffeine! Size: 3 3/4" x 2 1/2" x 4"